Happy hours always offer some light at the end of the tunnel after an exhausting work week or deadline, it provides the perfect light-hearted atmosphere to develop lasting relationships out of the workplace. 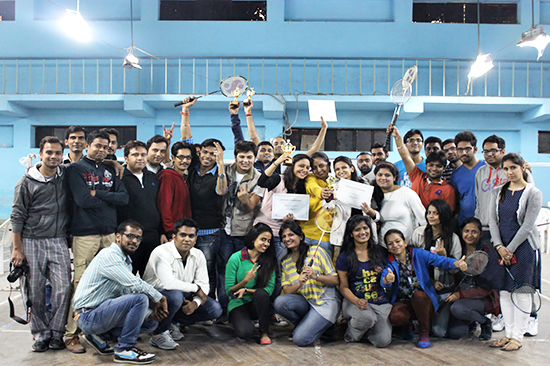 With this theme in mind, Cognus Team geared up for the Badminton match early morning on December 13, 2014 at Badminton Hall, MLSU University Campus. 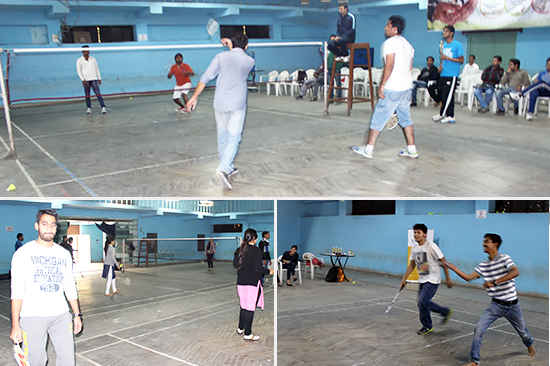 The Match hosted in multiple categories like Singles, Mixed Doubles, Men’s – Doubles and Women’s – Doubles. The environment was so fun-filled, that no one could stay out without flying off the shuttle in the air. All could be seen rolling up their sleeves to win & completely engaged in the competition. The event wrapped up with the distribution of Certificate and Trophies to the winners of each category. 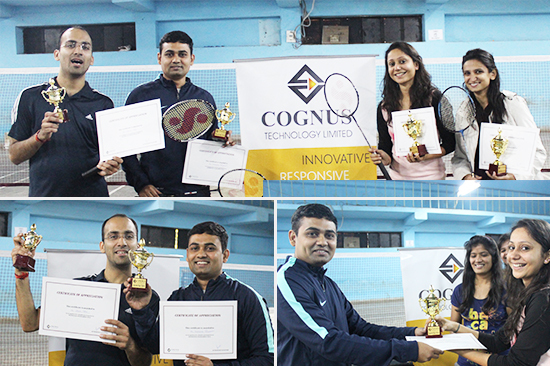 This was an initiative from Cognus to create strong bond among its employees with the engagement that takes place on ground during the practice for such events. Such recreational activities brings immense opportunity for the positive energy and sporting spirit of the employees to be reflected in their everyday work as well.